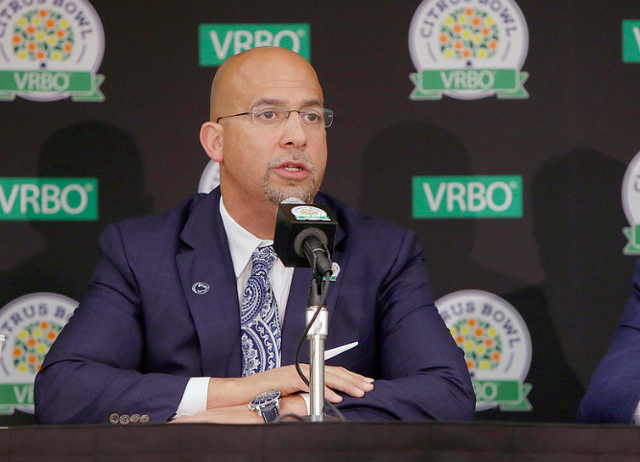 It is probably safe to wonder — if you've been following recent news — what exactly is going on with Penn State football. So far this offseason 11 players have either transferred outright or have entered the NCAA's brand new, (sadly) not-actually-multi-dimensional transfer portal. Add in five players declaring for the NFL, and 20 more simply running out of eligibility and you have 36 players out of the program in a few short weeks. So should you be concerned, huddled inside your house as the snow falls, that the sky is also falling on your favorite college football program? The transfer portal is new. The watered down explanation of the whole apparatus: In the past athletes have had to ask permission to seek transfer. The transfer portal is really the NCAA's fancy word for a database players can enter without needing anyone's permission. Is it free agency? Sort of, but mostly it's leverage and a newly expanded right for athletes who want to see if anyone else wants to give them more playing time. But it's brand new, and brand new things are fun to play with, so it's hard to say what an average departure number might look like during any given year. Similarly, while Penn State's 11 certainly seems to be on the higher end of the scale, it's hard to know right now how the numbers will all shake out. For example, it has been public for a week now that Brandon Polk had entered the transfer portal, but only just today he announced it himself. The portal isn't publicly accessible, so the common knowledge of who is entering largely comes down to leaks. If five Rutgers players entered their names tomorrow, there is no guarantee it's reported the same day. That's not a knock on anyone's work ethic, but in a leak-dependent reporting system, a lot of it comes down to which names people care about in the first place. Conversely, 11 players is still a lot, and by the looks of it that's on the higher end of the scale. The question will end up being if it's on the higher end by five players or by two. And again, it's Year 1. This could be the highest number Penn State ever has. We won't know for a few more years. I think it's sort of a natural conclusion to jump to when players start leaving when they don't have to, but there isn't really any evidence to back that up. If anything you could probably find 10 guys in every locker room that are annoyed with their playing time and/or their head coach. It happens, and there are 85 scholarship players, even more not on scholarship. Somebody is bound to be unhappy. Does that mean all of these guys are angry or frustrated? No. But even if they were, that's life, and it's not like a million high profile players just walked out of the room. To me these two guys (Juwan Johnson and Lamont Wade) are good examples of how you can start to explain away individual cases. Johnson, even when he was catching the ball, seemed vaguely unhappy about things. Add in a bad year, injuries and a slew of young receivers on the roster, and Johnson might want a fresh start. He has already graduated so he can play right away. It's not ideal if you're Penn State, but it's also not a shock if you really think about it. Same with Wade. This isn't to say he won't be a good cover guy when it's all said and done, but recruiting rankings are only a fraction of the battle. Wade never really bubbled to the surface while at Penn State and while he seemed poised to crack the rotation in 2019, he probably has a better grasp on that than everyone else. Wade mentioned on social media that it wasn't his idea, but figuring out what athletes really mean online is about as impossible as it comes. Johnson could use a fresh start, and Wade could probably benefit from the same. Well, it's not good, but it's hard to say with any authority that something has clearly caused it. Maybe it's just me, but I think generally if you polled a team after a somewhat underwhelming 9-4 season that you would find a few guys that want to play more, a few that are annoyed with their coaches and a few that just want to try their luck somewhere else. Those are a lot of different and largely unrelated factors that can get you to 11 players pretty quick. That being said, no program has ever complained because all of its players stayed. Depth is depth, and even if you know some of these guys may have never played, the value of warm competent bodies behind the scenes isn't an asset to be overlooked. It stands to reason that this will probably calm down with the season a few weeks in the rear view at this point. Maybe a name or two more, but the bulk departures seem to be over and done with. So should you be concerned? I think it's fair to raise an eyebrow when 11 players want out, but I think when you factor in the newness of the transfer portal coupled with the inevitability of offseason departures any given year, you can probably take a few deep breaths. Is this the new normal? In most cases, players still have to sit out a year if they haven't graduated. The actual transfer rules haven't changed, just the ability to explore the option. So there will probably still be more of them because it's easier to do, but the general logic and logistics behind why and when you might transfer still apply. So in short, it's probably going to be okay. But let's check back in a year. 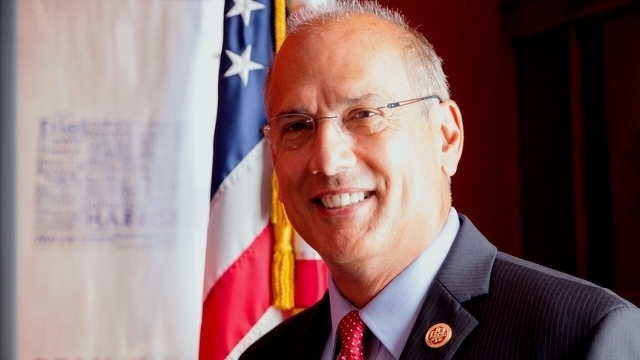 Rep. Tom Marino (R-Williamsport), whose 12th District includes most of the Centre Region and the Penns Valley area of Centre County, is resigning from Congress. Marino, who in November was elected to a fifth term, said in a press release on Thursday that he is leaving the House on Jan. 23 to take an unspecified job in the private sector.